So says the article at Wikipedia. It confused me at first to hear that the body (including the torso) is to remain still in the “Shimmy.” I thought that the more shaking of the upper body, the better the Shimmy. Was I was wrong? Maybe I was half right. Is it even possible to move the shoulders “back and forth” without the upper body moving? It seems like you’d have to pivot somewhere south of the shoulders, namely at the waist and hips, if only slightly, in order to move the shoulders back and forth. Put differently, back and forth movement of the shoulders will inevitably cause the spine to turn, or vice-versa. Rotation of the spine involves rotation of the entire upper body. I’m periodically standing up and trying these moves as I write this and can’t seem to work out how to move the shoulders in this manner without much of the rest of the body moving as well, including my hips and legs. If I sit down, however, I can move the shoulders back and forth without involving the hips, but please tell me how it’s possible to keep the torso still while you’re doing this. Also, I cannot presently do the shoulder movements rapidly. Speed seems to be an important factor in doing a shimmy well. The Shimmy is a belly dance. It is really quite entertaining. It is actually an Egyptian dance. You dance this by first having the right posture. When belly dancing, or in other words, doing the shimmy, it’s very important to be conscious of your body at all times during the dance. Stand up, and put your feet on the ground about a foot apart from each other. Focusing on your hip area, bring your shoulders back and firm up your stomach and buttocks. Stick your chest out and up, and put your hand down to your side. To shimmy in belly dancing, you need to take advantage of the power in your knees. Bend your knees slightly, and then raise them up and down quickly like you’re running. Be sure that you’re feet don’t leave the ground! This will move your hips back and forth, creating a shimmy effect. Be sure not to start off too quickly or you’re probably going to hurt yourself. When you first practice this dance, you should do it in slow motion until you develop the correct movement. Be sure to pay close attention to your form. Your left knee should control your left hip, and the same goes for the right side. Once you get a more fluent motion, try to speed up the process. It should be almost seamless in movement, and your knees will pump as quickly as they can go. (How To Shimmy Hips Belly Dancing 1) Follow these steps and you’ll be shimmying like a pro in no time! Just be sure you don’t hurt yourself! Other sites give a definition similar to that provided at Wikipedia’s main article on the dance. They describe a shimmy generated by rapidly alternating movements of the shoulders resulting in shaking of the upper body. One site straddles the fence, saying that the upper body usually shakes but sometimes the hips or other parts do. Where is the Shimmy authority!? The site Streetswing.com suggests some early sources of the movement known as the Shimmy: “Haitian Voodoo” dances, horon dances of the Black Sea region, the Shika of Nigeria, and a German dance of the 15th century called the Ahselroten. [Note: Ahselroten is probably a misspelling because streetswing.com is the only hit on a google search of the word.] But they fail to show a logical thread from any of these; so the connections appear to be merely speculative, based on perceived similarities to the Shimmy. 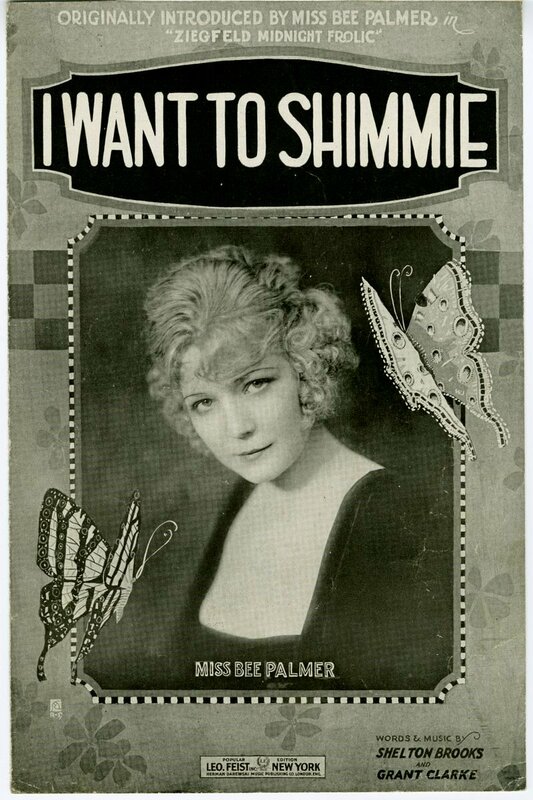 Streetswing is quite comprehensive in some areas such as a page where they list more than twenty different titles with the word “Shim” or “Shimmy” (or Shimmie and other variant spellings) recorded from 1917 to 1927. In 1917, a dance-song titled “Shim-Me-Sha-Wobble” by Spencer Williams was published, as was “The Jazz Dance”. 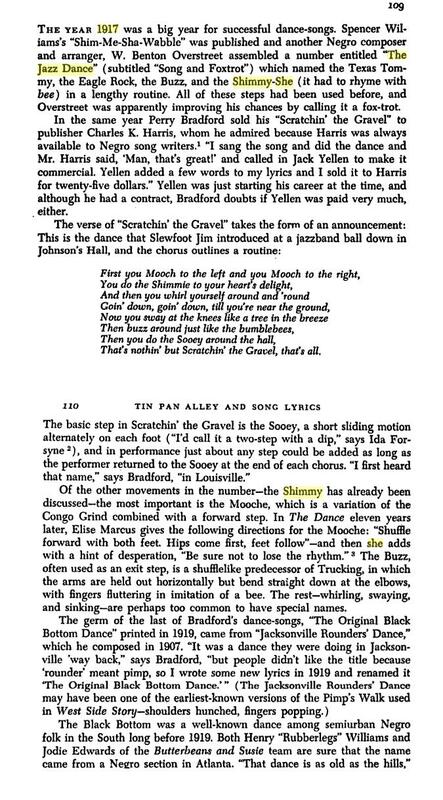 The lyric of the latter mentions by name the dance called the Shimmy-She as well as the dances The Texas Tommy, The Eagle Rock, and The Buzz (See the excerpt from the book Jazz Dance below). The origin of the name of the dance called the Shimmy is often attributed to Gilda Gray, a Polish emigrant to America. An anecdote says that when she was asked about her dancing style, she answered, in heavy accent, “I’m shaking my chemise”. However, in an interview Gilda denied having said this, and earlier usages of the word are recorded. In the late 1910s others were also attributed as being the “inventor” of the shimmy, including Bee Palmer. Mae West claimed to have herself retitled the unfamiliar dance she observed as the shimmy. 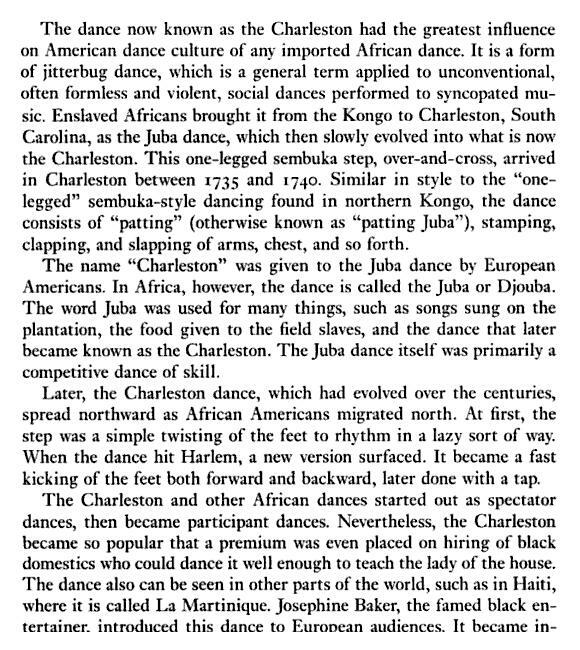 The following image is an excerpt from the book Jazz dance: the story of American vernacular dance by Jean Stearns, pp. 109-110. The quality of the image is not great, but it’s easier to read if you click twice on it. The Jazz Dance (W. Benton Overstreet) – In it’s section titled The First Jazz Records, redhotjazz.com indicates that (W.C.) Handy’s Orchestra of Memphis was the first to record the song, during a 22 September 1929 session. But the title used by Handy suggests that it might have already been known: That Jazz Dance (The Jazz Dance that Everybody is Crazy ‘Bout). Black Bottom refers to a dance which became popular in the 1920s, during the period known as the Flapper era. The dance originated in New Orleans in the 1900s. The theatrical show Dinah brought the Black Bottom dance to New York in 1924, and the George White’s Scandals featured it at the Apollo Theater in Harlem 1926 through 1927 where it was introduced by dancer Ann Pennington. Jelly Roll Morton, jazz player and composer, wrote the tune “Black Bottom Stomp” with its name referring to Detroit’s Black Bottom area. The dance became a sensation and ended up overtaking the popularity of the Charleston, eventually becoming the number one social dance. StreetSwing.com provides a similar history of the dance, here. 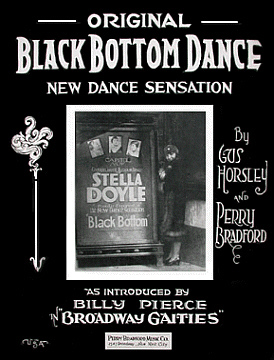 “The Original Black Bottom Dance” was printed in 1919. It came from an earlier dance called “Jacksonville Rounders’ Dance” printed in 1907. The word “Rounder” was a synonym for “pimp.” Both “dance-songs” were written by black pianist/composer/dancer Perry Bradford  and were based on a dance done in Jacksonville, Florida “way back.” One professional dancer stated, “That dance is as old as the hills.” The dance was well known [sic] among semi-rural blacks across the South. A similar dance with many variations had been commonly used in tent show performances, and “Bradford and Jeanette” had used it as a finale. The dance was featured in the Harlem show Dinah in 1924, and then “The Scandals of 1926,” whereupon it became a national craze. 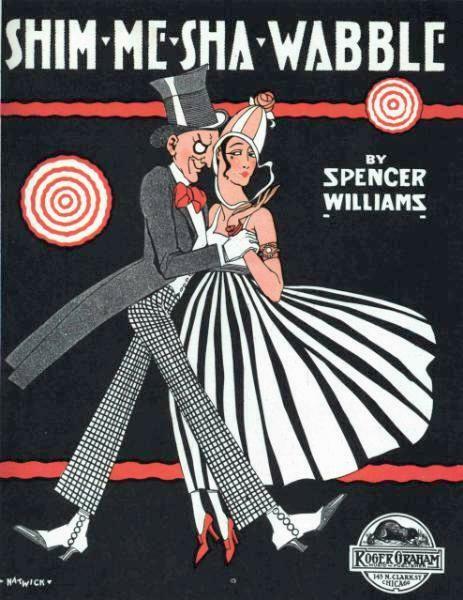 The sheet music cover above refers to a 1926 show Broadway Gaieties, suggesting that the song was introduced in this production. This might be technically correct if the lyrics were added for the show. The following recording features the song’s composer as director and vocalist for The Georgia Strutters, while the lyricist is also a member of the band, playing banjo. The Georgia Strutters – recorded 21 October 1926 (says the provider) — Perry Bradford (vocal/director), Bubber Miley (clarinet/trombone), Herschel Brassfield (clarinet, alto sax), Edgar Sampson (alto sax, violin), Mike Jackson (piano), Gus Horsley (banjo). [Pennington] became famous for what was, at the time, called a “Shake and Quiver Dancer,” and was noted for her variation of the “Black Bottom”. She was also noted as an accomplished tap dancer. 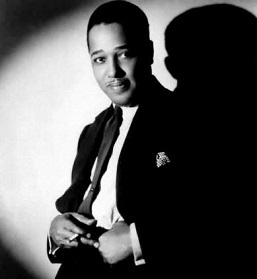 Ray Henderson wrote the extant version of “Black Bottom” for Ann – she had already been performing the popular version of the dance for some time. Some years prior to this, she had also topped the bill on Broadway in her performance of the musically similar “Charleston”. Following are two early recordings of Henderson’s Black Bottom. (Below) The next video shows two versions of the Black Bottom from different eras during the Jazz Age, early and late. The early version, dated 1919, is demonstrated by a solo dancer in a skimpy outfit which resembles that worn by Ziegfeld Girl and famed dancer Ann Pennington in the photo at right by Alfred Cheney Johnston. Wikipedia claims Henderson wrote his version of Black Bottom for her, though she’d already been performing the popular dance The Black Bottom for “some time.” In the later version, labeled 1927, partners demonstrate a more conservative dance, but with more complex steps. This is followed by a return of the first model who does an exuberant dance to the song The Varsity Drag, another song by De Sylva, Brown and Henderson, which has obvious similarities to their Black Bottom. I haven’t identified the dance demonstrated last when the couple reappears. The Varsity Drag (m. Ray Henderson, w. B. G. DeSylva, Lew Brown) – composed for the original 1927 musical Good News. The show was very successful, running for 557 performances. VARSITY DRAG became popular nationwide (and especially in the New York area) in the late 1920s, mostly because of the 1927 hit song “The Varsity Drag” followed by the movie (1930) [According to IMDb, the film The Varsity Drag was released in 1929] with Ann Singleton,”the rubber girl”, making her memorable “shag dance” show [sic]. In 1930s the Varsity Drag transformed into the Collegiate Shag, and in ’40s — into the Jitterbug. 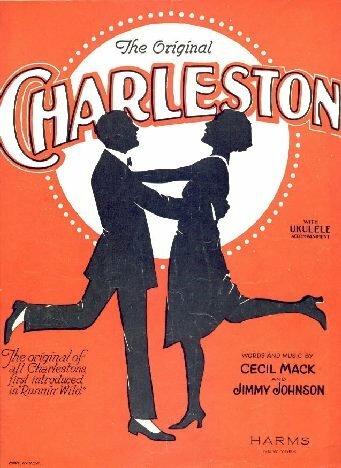 Like many other dances popular in the big band era, the “shag dances” have roots in the 1920s Charleston, believed to be from New Orleans. All of them are primarily the 6-count dances full of kicks, hops and taps done to fast jazz. (below) A 1937 short film in which Arthur Murray is shown teaching students various steps in the Collegiate Shag, followed by students demonstrating “four different styles of Shag”, a dance which he says has hundreds of steps, all being variations on those he has just taught them. The clip finishes with a staged performance at a club. See a description of the dance known as the Toddle at Street Swing. It is worth pointing out that in the early 1900’s both the Waltz and the Tango were considered scandalous dances because they involved physical contact between partners during the dance. Once the dance crazes which took off in Paris were demonstrated in America, they were embraced by the public and close dancing became a social norm. In the 1920’s and 30’s the Lindy hop, named for the pilot Charles Lindburgh’s [Lindbergh’s] first solo flight, emerged and was the first dance to include swinging the partner into the air, as well as jumping in sequence. People saw the new dances in Hollywood movies and practiced them to phonograph records or to radio broadcasts before going out on the dance floors of nightclubs or school gymnasiums. Dancing was a major part of peoples [sic] entertainment and an important part of every party. Schools taught dancing to small children, while churches used dances to attract young people. 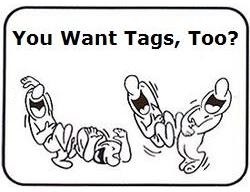 Tangos, Foxtrots, Camel Walks, even Square dances (which were heavily promoted by Henry Ford) were popular. Magazines and books on social dancing and related social activities were very popular, as were dance schools teaching all the latest dance crazes. Dance etiquette inherited from the previous century began to change. Parents who could afford to would send their children to learn Tap and Ballet dancing. Dancing was an extremely popular social activity for all age groups. Dance marathons occurred every weekend with the longest ever recorded being 3 weeks of dancing. Young people introduced their own fashion styles and so the “flapper” and “sheik” came into existence. Young women with short bobbed hairstyles, close fitting [sic] hats and short skirts were referred to as flappers, and young men with ukeleles [sic], racoon coats and bell-bottom trousers were called “sheiks”. Dancing began to actively involve the upper body for the first time as women began shaking their torsos in a dance called the Shimmy. Young people took to throwing their arms and legs in the air with reckless abandon and hopping or “toddling” every step in the Foxtrot, and soon every college student was doing a new dance which became the Toddle. (Above) an extract from the book Africanisms in American Culture, by Joseph E. Holloway (2005) pp. 51-52. Django Reinhardt – record 21/4/37 (21 April 1937) in Paris – Quintet du Hot Club de France – Stephane Grappelli (v), Django Reinhardt, Pierre Ferret, Marcel Bianchi (g), Louis Vola (b). Djangopedia indicates that it was mistitled upon release as Swinging With Django. The Lindy Hop (or Lindy) is a partner dance that originated in 1920’s and 30’s Harlem, New York. The Dance itself consists of both 8 and 6 count steps and it includes footwork borrowed from the Charleston and Tap. The dance can be wild and spontaneous, with frenzied kicks and body movements, or it can be cool and sophisticated. The most important aspects of it are that it is danced with your partner, to the music, and that you enjoy it! The Lindy Hop is considered a cultural phenomenon that broke through the race barrier when segregation was still the norm. Modern dancers, interested in cultural history are piecing together the roots of Lindy through the tales and film footage of the original dancers, now in their 70s and 80s. Although the lineage and history of Lindy may be muddled, it is certain that it was born from the blending of African rhythms and movements with European structured dance. The foxtrot is a smooth progressive dance characterized by long, continuous flowing movements across the dance floor. It is danced to big band (usually vocal) music, and the feeling is one of elegance and sophistication. The dance is similar in its look to waltz, although the rhythm is 4/4 instead of ¾ time. 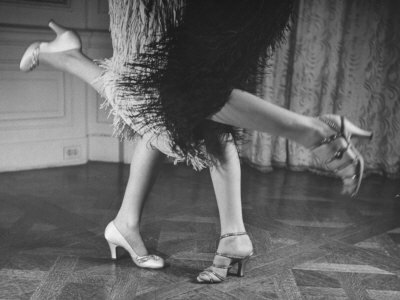 Developed in the 1920’s, the foxtrot reached its height of popularity in the 1930’s, and remains practiced today. 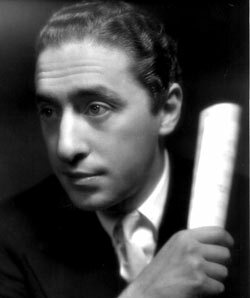 The exact origin of the name of the dance is unclear, although one theory is that took its name from its popularizer, the vaudeville actor Harry Fox. Two sources credit African American dancers as the source of the Fox Trot: Vernon Castle himself, and then dance teacher Betty Lee. Castle saw the dance, which “had been danced by negroes, to his personal knowledge, for fifteen years,” at “a certain exclusive colored club”. Wikipedia also notes that dances related to the foxtrot include the quickstep, the Peabody and the Discofox [the latter a mid-1970s development]. Ann Pennington is of Old American stock and of Quaker origin. You haven’t seen a shimmier quake until you’ve seen a Quaker shimmy. I came across this page by accident, and it made my day!